We are part of Alley Cat Feral Friends Network. 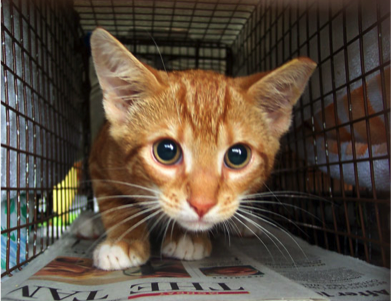 Alley Cat Allies is a national advocacy organization dedicated to the protection and humane treatment of cats. The following information is available on their website. Since 1990, Alley Cat Allies has helped hundreds of thousands of individuals and local organizations worldwide improve the lives of feral cats by providing guidance on how to implement Trap-Neuter-Return, and educating communities about the benefits of the program. This guide will show you how easy it is to help cats in your community. Armed with your new knowledge, you will be able to join thousands of other people working to improve the lives of feral cats! Only use a humane box trap to trap a feral cat. Never use darts or tranquilizers to attempt to catch a cat. These methods are dangerous and stressful to the cats. Nets are also not recommended for the same reasons. 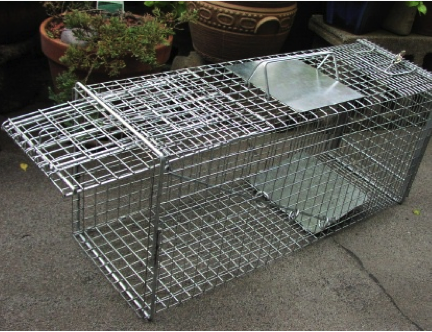 Refer to the equipment list on the Alley Cats website for recommended box trap models. NEVER attempt to pick up a feral cat, particularly to put her in a carrier or trap. No matter how sweet she seems, handling a cat who has never—or not recently—been touched will frighten and stress her. She may struggle to get away and harm you in the process. With no vaccination records, she is bound to be killed or put into quarantine. Use the correct trapping practices outlined below and ensure the safety of both you and the cat. Keep in mind that your trapping will be most effective if you employ targeted trapping. Learn more about targeted trapping on the Alley Cats website, a trapping approach that allows for complete results. Feral cats are fearful of people in general. This fact should influence every choice you make when trapping. They may feel even more frightened and threatened when faced with a new experience, like being trapped and transported to a veterinarian. This is true for cats who normally act docile around their caregivers as well. Feral cats will not communicate their needs (if they are hurt, in pain, or frightened). Instead, they will thrash about when in their carriers or they may simply “shut down.” It is essential that you stay quiet, calm, and conscious of the cats’ well-being during your trapping ventures. No trapping effort is exactly the same. A colony’s location—a college campus, a warehouse, a farm, an alley, a small business parking lot— will have unique elements for you to consider. Use your discretion to determine any additional steps to those provided in this guide, and tailor the basics to fit your colony’s situation. For instance, you may need to work with college administrators, connect with other caregivers, or ensure you have enough traps and vehicles for a large colony. Familiarize yourself with the Trap-Neuter-Return process and plan your trapping day in advance. Throughout all of your trapping endeavors, plan ahead to ensure the safety and well-being of the cats and reduce your own stress. Coordinate with other caregivers who may be feeding the cats, and prepare the cats for trapping by feeding on a schedule and in a designated feeding area. Determine how many traps and neuter appointments you will need to schedule after assessing the colony. Determine a safe, temperature-controlled location where you will be able to hold the cats after surgery while they recover. Gather and prepare all of the appropriate equipment and understand how it all works ahead of time—and practice! It is important to test all traps, to ensure that the trip plate works. Withhold food 24 hours before trapping, and you are ready to start trapping. On the day-of, prepare the traps by lining the bottom with newspaper, tagging with a location description, and baiting. Set the traps and watch them from afar. Once a cat is trapped, cover the trap - this will help keep the cat calm. After securing the traps in your vehicle, head to the veterinarian or clinic for surgeries that day or the following day. After surgery, keep the cats in the trap at all times. Transport the cats safely back to your secure, indoor location where cats will be in a temperature-controlled environment, dry, and away from danger. Monitor the cats for any illness. For your safety and the cats keep them in their covered cages at all times. Feed the cats eight hours or so after surgery. When feeding the cats, lift the back door of the trap very slowly and allow only a small gap—one-half to one inch at most—to open. Slide a plastic lid with a little bit of food on it through the gap without putting your hand inside the trap. Return the cats to the exact location where they were trapped. Open the front door of the trap and pull back the cover and walk away. Do not be concerned if the cat hesitates a few moments before leaving. She is simply reorienting herself to her surroundings. Sometimes a cat can “disappear” for a few days after she is returned. She will appear eventually. Resume the feeding schedule and continue to provide food and water—she may eat when you are not around. 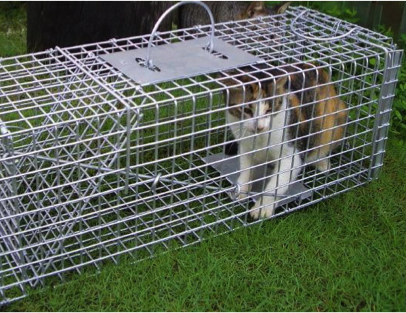 Clean and disinfect the traps — the scent of the cat previously trapped may deter other cats from entering.